There are obvious dangers for an Art Collection. Fire, water, theft and even light is also a big threat, and the damage it can cause is irreversible. Even certain framing methods can destroy a work over time. What are the best ways to make sure your art is safe, secure, and displayed to its utmost advantage? ArtInsuranceNow.com has some helpful tips. Thieves once robbed the home of an avid collector. The police asked for photographs of the stolen items but had to settle for dinner–party pictures in which several of the works appear incidentally in the background, often cropped and out of focus. This is not a good way to document your art. You should continually evaluate your art collection, particularly when art values are high. Collectors should document their holdings and store the information (or a copy of it) off-site, not attached to, or near the works themselves. When properly insuring an item, the more documentation the better. Technology can help organize your collection with easy to use inventory management software and apps. There is a variety of both free and paid “cloud” software (which means you can access it from any device anywhere you can connect to the internet). These applications can allow users to store an image of a work, as well as such information as price, appraisal value, purchase date, location, description, condition, and provenance. Collectors with many objects and multiple residences who don’t keep track of where everything is might not notice for months that something is missing. Another way to protect your collection is to have a reliable alarm system for the art locations. From the stories we hear as a fine-art insurance agency, the amount of poorly maintained or even unused alarm systems at valuable properties is quite surprising. Also, if collectors get a series of phone hang–ups—six or more in a short period of time we advise you to call the police, because your house is possibly being cased. Crooks can be trying to look for a pattern to see when you’re home and when you’re out. While there are many art heist stories to be told, transit and the environment remain the two biggest risks to works of art. We advise not to skimp when packing and shipping a work—and consider carefully where you display it. If you hang a painting in direct sunlight and it fades, most policies won’t cover it. Over 60 percent of claims are related to losses incurred in transit, including moving art around the collectors’ own homes. Bad packing and handling are avoidable problems and professional art packing and shipping have become more affordable. No one wants to lose a piece of art but it happens, more often than we’d like to see so the best way to protect your collection is with due diligence and a fine art policy from ArtInsuranceNow.com / Bernard Fleischer & Sons Inc. We can guide you in obtaining the right fine art insurance for your unique requirements at great rates. 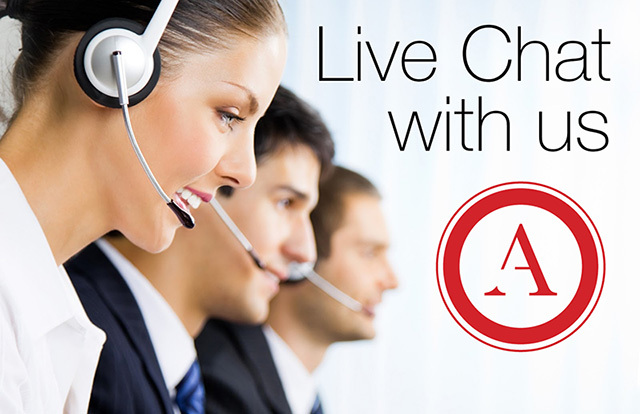 For more info visit www.artinsurancenow.com and live chat with us, call us at 800.921.1008 or apply for a free quote below. Fine-Art Insurance valuations aren’t so complicated, as some may think. Here is the breakdown. The IRS defines fair market value as the price that property would sell for on the open market, as agreed upon between a willing buyer and a willing seller, with neither being required to act and both having a reasonable knowledge of the relevant facts. Usually, this means the auction market (buyer’s premium included), because auction is the predominant market of open exchange. If the property in question sells predominantly or exclusively at retail (i.e. in a gallery), however, retail is the market used by the appraiser. All IRS appraisals are fair market value appraisals. Insurance appraisals have a different criterion for valuation. Here the assumption is that the insured item needs to be replaced in a timely manner. Waiting for a similar item to come up for auction could be unreasonable and impractical. So instead of a valuation based on the auction market, retail replacement is the most appropriate valuation. This is the price that one would expect to pay for the same or similar item in a retail setting at the present time. Oftentimes the insurance value is even a bit higher than retail to accommodate for shipping and other costs related to the purchase. Also, check out our informative article on Schedule VS. Blanket Coverage for an in-depth look at how policies are written in terms of valuation. As a knowledgeable Art Insurance broker, I can guide you through the process of navigating the often confusing insurance industry and properly protecting your Art. Give us a call at 800.921.1008 or Live Chat with us at www.ArtInsuranceNow.com you can even get a free quote by following the link below. The top risks art collectors might face surprisingly doesn’t include theft. In fact, its art that’s on the move that poses the biggest risk. A large proportion of art claims are derived from transit losses. Private collectors enjoy lending, particularly as exhibitions in major institutions can increase value, that’s all very well until something goes wrong. The movement of art is massive, now art is transported coast to coast, internationally or just to your winter home or local Gallery. When handling artwork, packing for transportation is a top concern for insurance carriers. Many policies list as a condition, professional packing, meaning it must be packed as someone in the industry would pack it, safe, secure and protective from breaking if possible. If you use a transportation service, either a fine art mover, a local mover, or common carrier, you must verify if they have or offer Insurance, what are their limits, conditions and the cost of the coverage. Insurance carriers differ and may have restrictions or limitations while your valuables are on the road, on a ship, or in air transit. The most common, efficient and safe way of moving art over long distances, domestically or internationally is by air transport, but it is very common to move the work yourself, so make sure your policy covers self-conveyance. Some art transporting choices such as those offered by, United Parcel Service (UPS), DHL, Federal Express (FedEx), and other private art handling companies or commercial air freight carriers have limitations on coverages, territory, and deductibles. Keep in mind that while these are services used for fragile and non-fragile fine art, things happen within their control and outside of their control. Looking to your own insurance policy for protection is the right way to limit your financial losses and the quickest way to have the claim settled. Artists, art dealers, and institutions use these Art transport services regularly, but Insurance, in particular, is the gray area in which most misunderstandings occur. Pay close attention to the bill of lading and understanding the fine print. The standard form limits the exposure of a claim on the art to weight, not value. Our policies are written either as a schedule or market value less a percentage. Either way, your art will be protected while in transport. Caution, it’s important when securing transit art insurance to add extra days of transport for the unknown delays. Also note the declared value placed in customs forms or the bill of Lading is usually not used when settling a claim but look for wording which would specify to the contrary. According to FedEx, “shipments (packages or freight) containing all or part of the following items are limited to a maximum declared value of $500: Artwork, including any work created or developed by the application of skill, taste or creative talent for sale, display or collection. This includes, but is not limited to, items (and their parts) such as paintings, drawings, vases, tapestries, limited-edition prints, fine art, statuary, sculpture, collectors’ items, customized or personalized musical instruments, Film, photographic images, including photographic negatives, photographic chromes and photographic slides. According to UPS, articles of “unusual value” are prohibited from being offered for shipment. This definition explicitly includes “works of art.” As the November New York-based auctions ended and Art Basel Miami Beach began, for collectors buying and selling art no doubt demanded lots of their attention, they also should be thinking about keeping their art safe and properly insured as it moves between locations. With the expansion of the global art market, risks increase. To discover a larger number of buyers, auction houses and art dealers often display art at multiple locations, including a growing number of art fairs around the world like Art Basel. The high volume of art exchanging hands increases the risk of improper handling and accidental damage and therefore increases the number of fine art insurance claims. You should know where your art will be stored while in the possession of art dealers or auction houses. This is critical. For example, many consigned works were stored in art gallery basements in Chelsea during Hurricane Sandy, leaving many damaged. Art galleries may also store artwork at an off-site storage facility. Being notified before your piece is moved from one location to another is also a precaution and obtaining confirmation on how it will be packed and transported will help to ensure a smooth consignment process. Don’t presume that the auction house, gallery owner, art dealer, or shipping company with possession of your artwork has insurance for its loss, theft or damage. It’s very important to have your own fine art policy. Collectors should always consult with an insurance agent. The agent can tailor a policy to a specific collector and discover any special provisions in the collector’s fine art policy. No matter what risks they face, creating an insurance policy for an art collector requires one-on-one consultation since every art collection is unique, no two collectors are alike and no two collections are alike. The Art of Collecting Art. There’s a big difference between buying art and collecting art. Buying art is more of a random activity based on likes, preferences or attractions at any given moment while collecting art is more of a purposeful, directed, long-term commitment. An important step in good collecting is not the most delightful one to talk about, but it is among the most necessary, and that is to plan for the unforeseen. As an art insurance broker, I readily come across collections that are an intricate part of retirement and inheritance planning. It’s a great asset to pass down. Baby boomers bought artwork for the love of the art. Art as an investment vehicle was a small part of the decision-making, not like today which is the main focus. In the past 15 years as the art market sales and demand took off, Art purchased 40, 30 or even 10 years ago is worth a lot. Hence, I am seeing collector’s policy limits rise into the millions. I will explain some key differences in the type of policy offered in today’s marketplace. Art Insurance and collectible insurance demands are a new focus with some insurers. Beware, like the art world, no two are the same, read the exclusions, conditions and valuation clauses in a policy. Understand what schedule means and its limitations, some say the maximum they will pay is what is on the schedule or schedule plus 125% or 150% and then some added or market value whichever is less. A popular coverage is Blanket Insurance; usually, this is for the collection under $300,000. The advantage is that you are not required to supply the companies with appraisals, bill of sale or any other documentation when you bind the coverage. Only at the time of loss, the onus of proof of value is on the collector. This is not a lengthy process; either go back to your paperwork and ask for a current valuation from a dealer or show your work to a dealer and put the value in a letter. Both methods of either scheduling the art or using the blanket limit are tools I use when working with my clients. Each person looks at insurance in different ways and has different requirements. Let me work with you and answer all your questions to present a program which is satisfactory to all those involved. Visit us at ArtInsuranceNow.com, Apply below or Contact me at 800.921.1008 to discuss your unique situation. As Art Basel Miami 2016 approaches, we look at the necessity of a good art insurance policy. Art Basel, the international art fair with three shows staged annually in Basel, Miami Beach and Hong Kong. The shows offer parallel programming produced in collaboration with the host city’s local institutions. 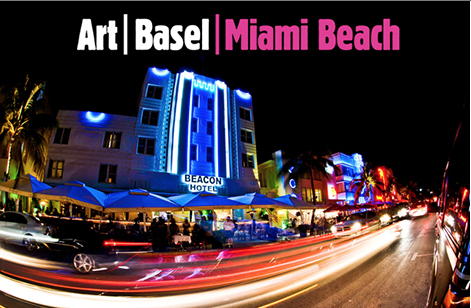 Art Basel provides a platform for galleries to show and sell their work to collectors, museum directors and curators. The 2015 show in Miami presented 267 leading international galleries from 32 countries. Over five days the show attracted 77,000 visitors including private collectors and directors, curators, trustees and patrons of nearly 200 museum and institution groups. The show hosted first-time collectors from Cambodia, Ethiopia, Nicaragua, Romania, Togo and Zimbabwe. That’s a lot of art moving around and collectors Art policies should cover Art, when purchased, on consignment and in transit, it’s about knowing your coverage situation before it’s too late. The transportation of art is a tricky thing, and as fine art transportation insurance leaders we can tell you exactly what you require to know so that your insurance program will be effective and cover you properly. Insurance coverage during transportation, installation and exhibition of irreplaceable works of art, antiquities, and memorabilia isn’t optional and the best way to obtain the finest coverage is to visit artinsurancenow.com or call us at 800.921.1008 to speak with a knowledgeable fine art broker that can advocate for you in seeking the best possible insurance terms. Collecting Art is fun, but maintaining values fluctuate a lot on an insurance policy. All homeowners policies where fine art is a part of the policy are written on a scheduled basis. To add these artworks to your schedule, the company requires a current bill of sale or a current appraisal. The value is locked based on the schedule, good if the value goes down, bad if the values goes up. Here is an endorsement which I feel the collector should consider when they are insuring an art collection. It’s the Current Market Value 150. With this endorsement, the company will pay the amount shown on the Schedule for which the item is insured. However, if the market value of the itemized article immediately before the loss or damage exceeds the amount of itemized coverage for that article, we will pay its “current market value” immediately before the loss or damage up to 150% of the amount of the itemized coverage for that article. Of course, if the item market value decrease you will get less. For a quote on Fine Art, Collectibles and objects of value click here for the collectors application on my website. Use UCC filings when you Cosign your Art to a Dealer. Recently, while I was discussing art with an attorney, UCC filings came up. Usually, this is filed when you take out a business or personal loans and the lender to protect its collateral files the UCC with the state. It’s an inexpensive file, which is used to notify the state you are a lender and have claim to the object corresponding to the UCC. So I always tell everyone when you lend for sale your Art, to always have an expiration of consignment, in case the other party gets in financial difficulties the asset reverts to you at the end of the consignment date. But now adding the UCC you attach yourself to the asset so any court can recognize you are in line to be paid if the art is sold. An interesting layer of protection from an unstable partnership. Photographs have complex chemical structure and material composition. Each material has its own preservation issues and needs. Consequently, photographs may suffer from fading and deterioration over time regardless of the extra care and special handling. Most Insurance Companies cannot provide coverage for items that cause themselves to deteriorate as a cause of loss. However, a proper appraisal done every 3-5 years will keep the collection in good proper order. As changes in condition occur, a current appraisal will note the photograph’s individual characteristics which will then influence the current market value of the single item. 1. Stated Amount based on an appraisal. 2. Market value or appraised value whichever is less. 3. Market value or appraised value. Maximum value 1.5% of appraisal value. 4. Market value – Onus of proof ( insured to prove value) up to policy limit. 6. Newly Acquired Property their cash value, but not more than 25% on similar type of policy. 7. Newly Acquired Property the lesser of 25% on similar type on policy or $10,000. 9. The cost of replacing that property with a substantially identical property. 11. Jointly Owned Property, value as stated in an agreement with the co-owner(s) up to the amount of your interest. 12. A loss to your Art Reference library, including books, catalogs and “data and Media” Settled at Actual Cash Value.